Akshay Kumar and Parineeti Chopra starrer Kesari released on the occasion of Holi, March 21. Be it the story-line or the songs or the performance of the star cast, this film opened to positive responses from audiences and critics. One of the songs from the film, "Teri Mitti", has got a new version, in the voice of Parineeti. The original version was crooned by B Praak and now with this latest soundtrack, the actress’ cousin Priyanka Chopra Jonas is all hearts for her. Kesari Song Teri Mitti: Akshay Kumar-Parineeti Chopra's Chemistry Stands Out in This Emotional Rendition (Watch Video). Priyanka Chopra Jonas mentioned, “So proud of you Baby This one’s all #TeriMitti”. This isn’t the first time that Parineeti Chopra has lent her voice for a song. In fact, this her second song after “Maana Ke Hum Yaar Nahin” from “Meri Pyaari Bindu”. Talking about the new version of “Teri Mitti” Pari mentioned in her post, “I think the crux of who I am is my love for singing. NOTHING in the world centres me more, focuses me and makes me happy, than just plain singing. I sing all day. And when I am not singing out loud, I am humming in my head. It is my first love. My mom tells me I used to sing the ABC song when I was a year old! Anyway, you get it Anyone who has heard me sing, has a piece of my soul my version of #TeriMitti. Thankyou Karan, Akshay sir, Anurag sir, Azeem, Arko, Aditya, Manoj and Arko for letting me do this.” Parineeti Chopra Keen to Pursue a Music Career, Feels Now Is the Time for Her to Sing More (Watch Video). 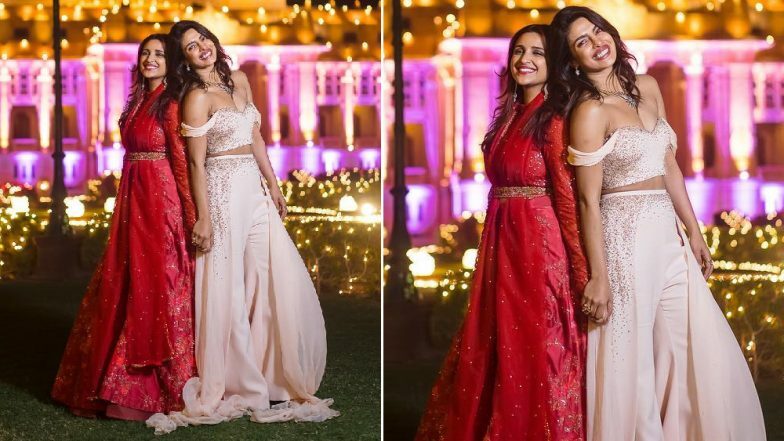 In a statement to IANS Parineeti Chopra said, “I think now is the time for me to sing more and show people what I can do because I do believe I can sing. I have been trained enough for me to be able to learn and I want to hone that skill as much as I can so that I can sing better and better.” For those who don’t know, this gorgeous actress is a trained Hindustani classical singer. Share your views about this latest version of "Teri Mitti" in the comment box below.